We Want to Buy Your Used Boat From All Over Florida! We Want to Buy Your Used Boat! For us, seafaring types summer only says one thing: Boating. We love to get out and enjoy these great summer months out on the open water, soaking up the sun, and making great memories. For some though those memories may have to come to a close. Boats are expensive no matter how you cut it, from repairs, insurance, docking fees and the yearly maintenance, it can be such a pain. If you feel like it might be time to part with your boat or if you want to upgrade to a better model, we are here to help. Here at SellUsYourBoat.net we are in the market to buy your old and used boat off you. We buy everything from motor boats, fishing vessels, sailboats, speedboats, and everything in between. We buy brands like Tartan, Bayliner, Four Winns, W.D. Shock, and may more. We Will Buy Your Used Boat! We’ve made the process of selling your boat as easy as possible, we pick them up and take care of all the details. All you have to worry about is what you’re going to spend your cash on. To get the process started all you have to do is fill out our free online quote form. 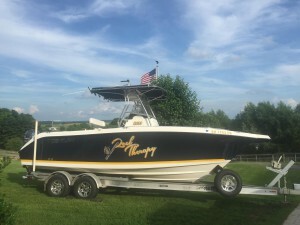 Tell us all about your boat, your make, model, any thing that makes you boat unique, and what you loved about it. We then will get back to you with a quote, and then we take care of the rest. We buy boats from Michigan to Florida and all the coasts in between. Georgia, the Carolinas, and all along the California coast, we’ll buy from you. So contact us today and see what we can do for you! Click here for a free quote on your boat!